Do you like a song so much that you want your Apple iPod Nano to play it over and over again? 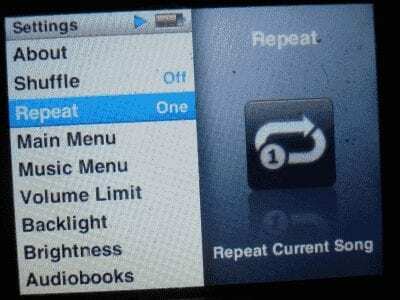 Here’s how to make a song repeat on your iPod Nano. From the “Now Playing” screen, tap the album art once. Controls will appear. You can swipe left or right between screens to display or hide the Repeat and Shuffle options. Tap the icon with arrows in a circle to toggle “Repeat” to on and repeat all songs in the current list. Tap it again to display “1” on the icon, if you wish to indicate the same song repeat. While playing the song, go back to the Main (first) menu. It will now set your song to repeat until you go back to “Settings” > “Repeat” and change the option to Off. Yes – mine too was stuck on repeat. I almost bought a new ipod, thinking it was broken. I agree this setting should be in SETTINGS! Thank you so much! I wondered for ages how do I repeat an album… All I had to do was tap the artwork to bring the menu up! Thank you soooooooo much. It had been stuck on repeat for over a year and I didn’t know how to get off! Thank you very very much!!! I did something on my walk and I didn’t know what that made songs repeat. 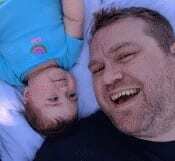 I appreciate your help!!!! Thank you sooooooooo much for posting this!! It was driving me crazy that I couldn’t make an album or a song repeat, especially when out running, esp as my old nano has completely died on me. Silly Apple for moving this from settings.